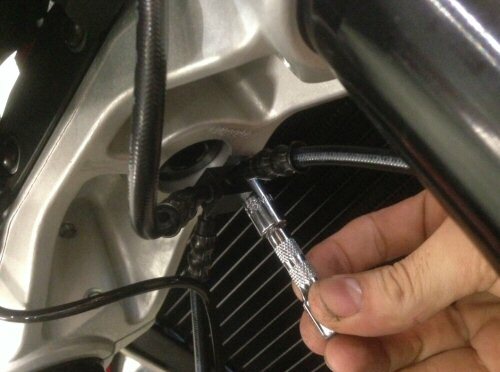 Update your current Pit-Bull front pin-lift (steering stem) stand to work on your Shiver. *Please Note: The brake hose Y piece will have to be loosened for access to the steering stem hole found on the Shiver. See image below. 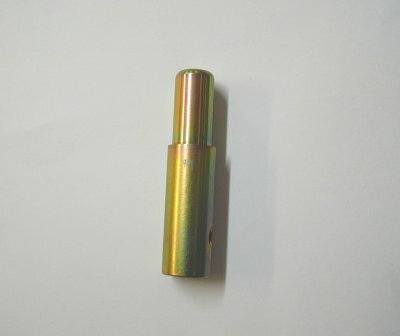 Pin works on all Pit-Bull steering stem lift stands.